The numbers of homeless people on the streets in Camden is reaching crisis point. There has been a shocking series of deaths of homeless people round Camden Town and yet despite the risks, more and more find themselves sleeping on our streets. Why are they forced to sleep on the street in our society? What system of help is there and how does it work? http://www.canstream.co.uk/camden/audio/CCRadio-2016-11-23-10315.mp3Kieran – a veteran with PTSD who ended up sleeping in Regent’s Park for months. He discovered how difficult it can be to access help and how it’s not just veterans on the streets – even young mothers and children can end up outside. http://www.canstream.co.uk/camden/audio/CCRadio-2016-11-26-94699.mp3Tommy has spent years of his young life on the streets. He knows the deal and what the rules are. He and his brother are both out on the streets together. The are they only family each of them has. I met Richard at the No Second Night Out hub on Hilldrop Crescent. Of all the many people I have spoken to about the issue of homelessness this year, he was perhaps the most eloquent and thoughtful in what he said. He made it clear how the poison of homelessness is hard to escape. 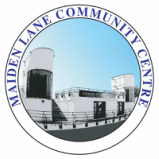 http://www.canstream.co.uk/camden/audio/CCRadio-2016-12-03-58347.mp3After volunteering at the camps of Calais and Dunkirk in France, the Refugee Community Kitchen bring their help to those who have nothing in the streets of Camden. We meet Janie Mac, one of the coordinators, on a cold Wednesday night just outside Camden tube station where a temporary “canteen” has been set up. Janie says RCK gives people essential support that the government simply fails to provide. 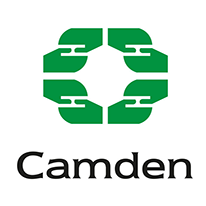 http://www.canstream.co.uk/camden/audio/CCRadio-2016-08-17-82099.mp3What is it like to be on the street in Camden? Three stories that give three short glimpses into homelessness and the problems like drug abuse, mental illness and loneliness that so often accompany it.